Finally, I’ve visited Beauty Emporium at Dempsey Road after wanting to check the place out since their opening. It’s not a convenient place to head to unless you drive or take a cab and if not for the the invite of Spa Espirit to attend their Essential Oils Workshop last Saturday, I’m not sure if I’ll ever head that direction. Dempsey is a place I associate with teak wood furniture and carpets but it has now come alive with rows of eateries and restaurants. And Beauty Emporium is located at Blk 8D, just behind Ben & Jerry’s. The store looks like a supermarket with warehouse style interior design incorporating interesting recycled furnishings. 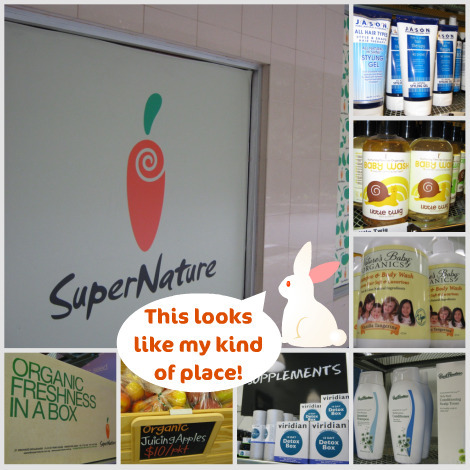 It is smaller than what I’ve expected it to be but I was pleased to find some niche organic brands in there. In addition, with Spa Espirit, Strip, and Browhaus, you can get a massage, a facial, a manicure, a brow reconstruction or even a Brazilian wax done all at one location. Other than the beauty services and products, you can also pick up books and stationery at Books Actually. Because I was there for a workshop, I didn’t really have time to tour the place. I only managed to take some pictures during the intervals, which I’m sharing here. I learnt that Spa Esprit is a homegrown apothecary spa providing creative customised blend products, facial and massages. 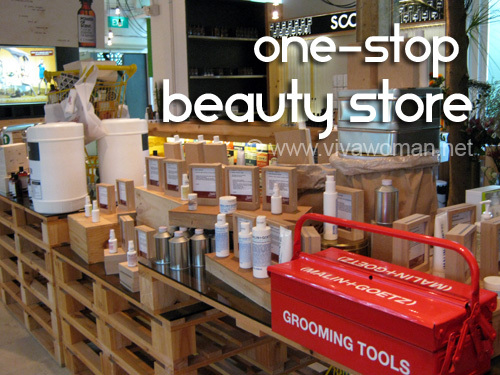 The company is also the exclusive retailer to SCO and Malin+Goetz products, which are found at Beauty Emporium. The spa is located at the second level but I didn’t manage to check it out. I might head back as I was given a complimentary voucher for a massage – provided I can drag myself to Dempsey again. 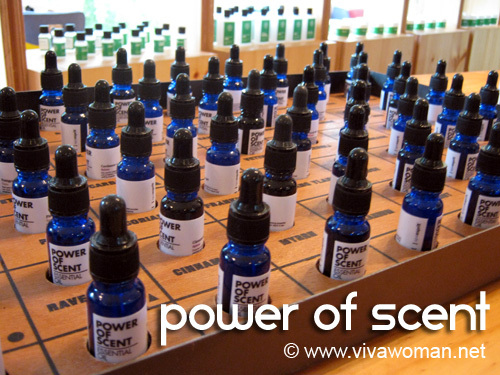 Besides dÅTERRA that we were introduced to at the workshop, Spa Espirit also has their own blend of essential oils under the brand, Power of Scent. 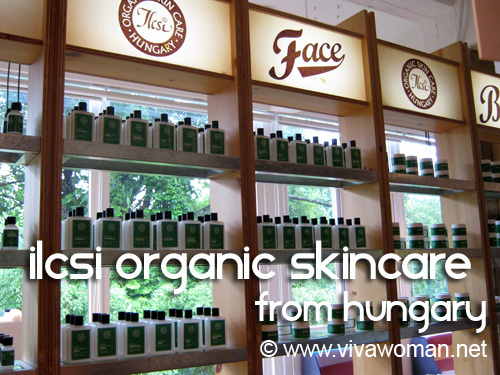 I had to google to find out the name of this brand – Ilcsi Organic Skincare. I’ve never seen or heard this Hungarian brand before but it looks interesting eh? 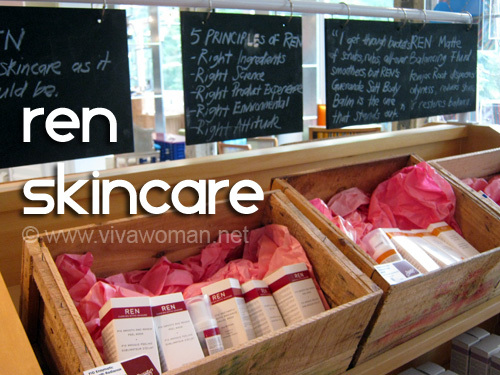 I was so happy to see Ren Skincare at the store because I was about to get their cleansers from Tangs. I’m not sure if Tangs is having a sale on them but if they are, please don’t tell me. Do these lovely looking La Compagnie de Provence products make you want to jump into the shower? They are a brand that focus not just on using natural ingredients but also on simple and effective graphic designs on their bottles. Never tried them though. 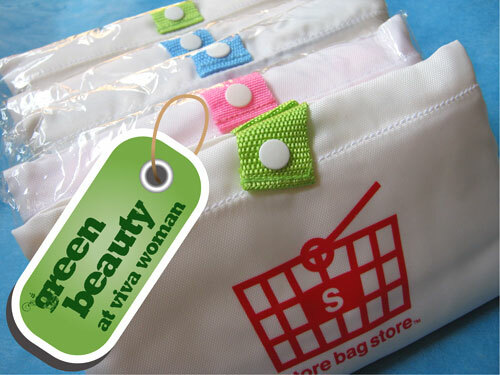 Oh, have you noticed that the products are displayed in supermarket racks and multidesks? Here are products from Dr Haushka. 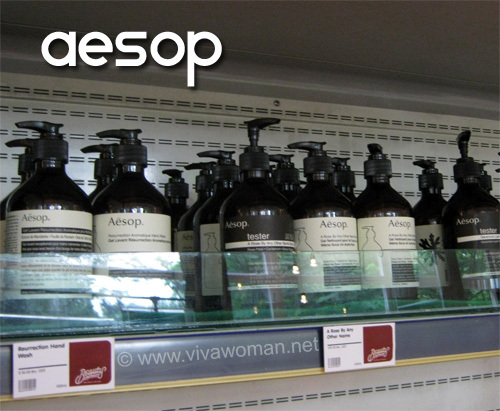 And Aesop too. Looks kind of cool as you’ll think you’re getting skin care products fresh from the chiller. 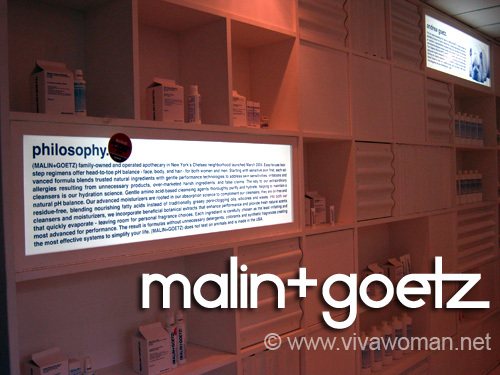 Malin+Goetz is another range focusing on natural ingredients and hails from New York. 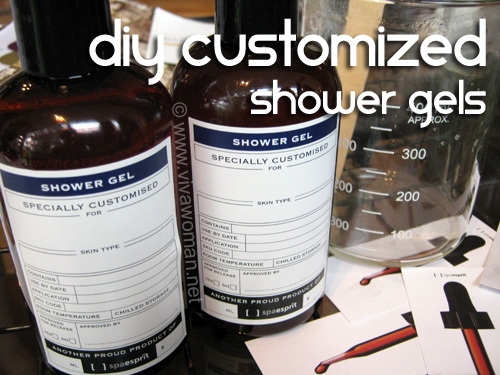 You can customized your own bath and body products at Spa Esprit. Prices start from S$35 depending on the blend of essential oils you choose. Here are two bottles of shower gels that I customized with the dÅTERRA essential oils – rose geranium and sandalwood. The shower gel was provided by Spa Espirit and all we needed to do was to blend in the essential oils. Okay, other than the two essential oils I used, I have no idea what the shower gels are made of but they do smell lovely. 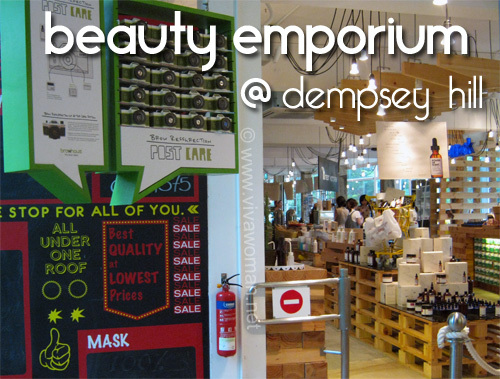 Beauty Emporium is located at 8D Dempsey Road and is open daily from 10am to 10pm. It’s not centrally located but check it out if you’re headed to Dempsey for a meal. i’ve been wanting to check out this place, but it’s just too out of the way. even when i’m headed for a meal at dempsey, the distance between the restaurant and this place is not exactly pedestrian-friendly! Yeah, very out of the way. Not too convenient. I guess the place is popular with the expats? Wow! Wished that we have stores like that here in Malaysia. :( I will definately go crazy in a place like this. hello! on your comment on ren skincare range, have you done a review on their items? i’ve seen it in tangs and always wonder if it’s any good….did a serach on your site but didnt throw up any hits. Hi Mel: I just purchased the cleansers that day and have been using it for a week now. I got the hydrating milk cleanser and the gel cleanser. Quite like them, especially the gel cleanser. But price wise, a bit steep. Hi Sesame, i just did some surfing on the range of skincare…it looks really good! could you share the price range? Ren is mid range – from around $50 onwards. I paid $53 for the cleanser. 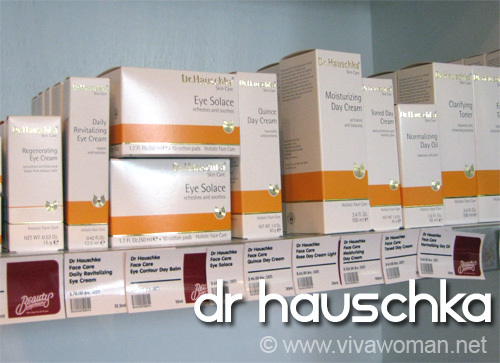 Dr Hauschka is also probably around the same. The others I’m not too sure cos I didn’t check. Hi Sesame! I really enjoyed reading your blog and learnt so much about organic skincare. Just wanted to ask if you know of any organic or skin care brands for kids? My young daughter who is 4 has mild eczema and I was thinking of getting a organic or natural shower gel for her.Thank you so much! I use A’kin PureBaby for my child…love it and the price is quite reasonable, particular when it’s on sale. Others would be California Baby, Earth’s Best and Buds for Kids that I reviewed here: http://www.vivawoman.net/2011/02/18/buds-for-kids-organic-skin-haircare-i-can-use-too/. Is there anyone with dry, oily and sensitive skin using Bod cleansing gel? Just wondering. Some gals at Cozycot reviewed that it was burning for their skin. Ah, I wish they sold sample or trial kits for this line. Seems like some readers had some problems using this cleanser…don’t know why cos it’s pretty mild. 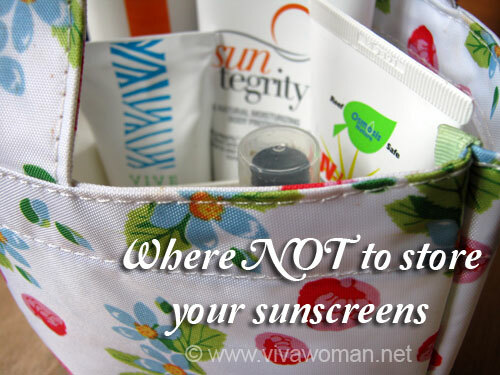 If your skin is very sensitive, then best not to use this. I wonder what other organic gel cleansers there are. Is Lavera still available in Singapore? I was looking through your blog for reviews and recommendations. No Lavera is no longer available. Seems like the distributor don’t bring it in anymore. I have a few recommendations of cleansers under $40 here: http://www.vivawoman.net/2011/03/08/51-sls-free-foaming-facial-cleansers-under-s40/. Maybe you will find something there. I am now using Ren – rather like it but it cost more than $40…about S$53. is the beauty emporium still there? i tried calling the phone number 64757375 and it just does not work…. does anyone know the phone number?